Developing healthy teeth begins during pregnancy. Your baby teeth begin developing while you are still in mommy’s tummy! It is important for mom to get proper nutrition and avoid certain medications even before you are born to make sure you have a beautiful and healthy smile. The basic tooth substance begins to form at an amazing age of only 6 weeks, meaning the teeth are forming before many women have even realized that they are carrying a baby. By the time baby is ready to meet mommy, their teeth are also ready to emerge. It is rare and usually pretty surprising for mommy, but in some cases (about 1 in 2,500) baby is born with a tooth already showing! Most of the time babies will begin teething around 6 months old, but not every child is the same. Some can start as early as 4 months and some wait until 12 months or later. Baby teeth usually almost always come in twos. Typically the gums will look bumpy, red, and swollen right before those shiny teeth show themselves. The bottom two middle teeth are then the first to show. Next, sometime between 8 and 13 months, the upper middle teeth and the teeth directly to the right and left of this pair will appear as well. Once you are one year old, you could have anywhere from one to ten teeth! It is around this time that most dentists recommend you have your first dentist visit. Your dentist wants to be sure that your teeth are coming in healthy and strong. He can also explain to you and mom the best way to take care of your teeth. For example, we recommend switching to a cup around a year old because bottles can cause liquid to pool around your teeth. 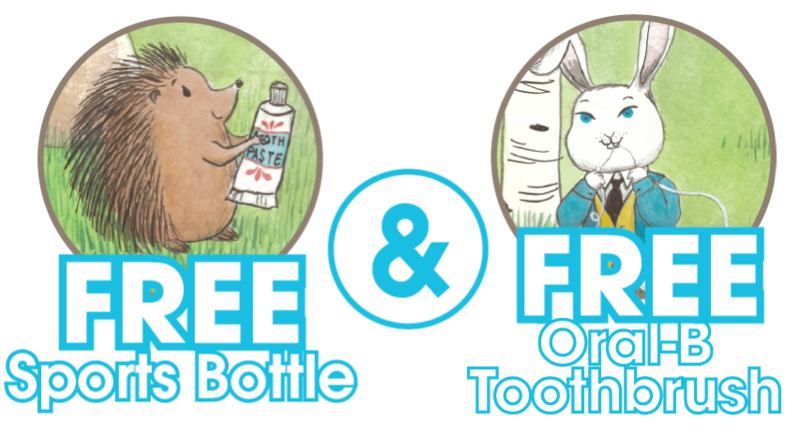 You can also start using a small smear of fluoride toothpaste as early as one year old. There are twenty total baby teeth that will come in and they will continue to come through until about 2 1/2 or 3 years old. The last teeth to come will be the lower and upper second molars, which are the very back teeth. Your new teeth will help you chew your food, talk correctly, and show your happiness through a beautiful smile. 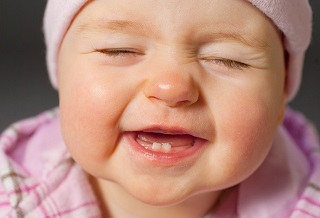 Eventually, your permanent teeth will begin to push your baby teeth out. This process takes a lot longer than getting your baby teeth in. It takes about six years for all of your baby teeth to fall out and the permanent ones to grow in their places. In some cases it takes even longer! Normally around 6 years old, the first permanent teeth, molars, will begin to come through the gums. These teeth are very important because they help the rest of your adult teeth align correctly and become your main teeth for chewing. Around this same time, about five years old or in some cases even earlier, you may begin to notice some of your teeth are loose! This is an exciting time which is usually celebrated throughout the world as a great milestone in our children's lives. A good thing to keep in mind is that the earlier the teeth came in, the earlier they will likely fall out. As early as 4 years old, or as late as 7 years old, your first tooth will fall out. The baby teeth fall out in roughly the same order that they came in. This means the lower middle teeth will fall out first, followed by the top two middle teeth. Your permanent teeth will continue to come in and by the time you are around 13 years old, you should have around 28 permanent teeth. The last four teeth, your wisdom teeth, usually come in anywhere from 17 to 25 years old. By the time all of your teeth have finished coming and going, you will have 32 teeth and will already be in adulthood. These are the last teeth you will have. It is important to take good care of your teeth from the time the baby teeth start appearing so your permanent teeth are healthy and strong for as long as possible.